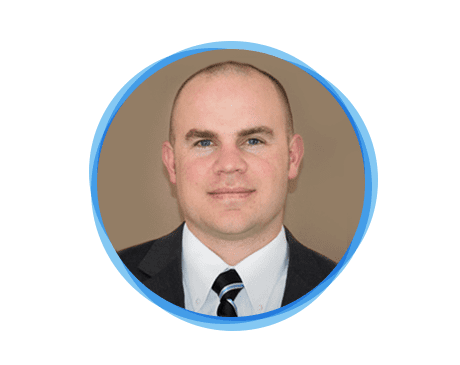 Dr. Nicholas Hugentobler, our Monticello, UT, podiatrist and foot doctor, knew he wanted to be a podiatrist ever since he had his first positive experience with one, who also happened to be his uncle. He had severe shin splints in college and was unable to run or play sports. After trying numerous home remedies such as taping, icing, and anti-inflammatory medicine, his uncle made him custom orthotics that completely changed his life. He knew then that he wanted to make a difference in people’s lives the same way his uncle had in his. Dr. Hugentobler graduated from Des Moines University in 2009 with his Doctorate in Podiatric Medicine. He completed his residency at Detroit Medical Center in 2012, after which he and his family moved to Durango to begin work at Animas Foot and Ankle. Monticello, UT, Podiatrist, Dr. Hugentobler is associated with American College of Foot and Ankle Surgeons, American Podiatric Medical Association, Colorado Podiatric Medical Association, New Mexico Podiatric Medical Association, American Professional Wound Care Association and the Colorado Foot and Ankle Society. He is one of the only physicians in the area who is certified to perform total ankle replacements.